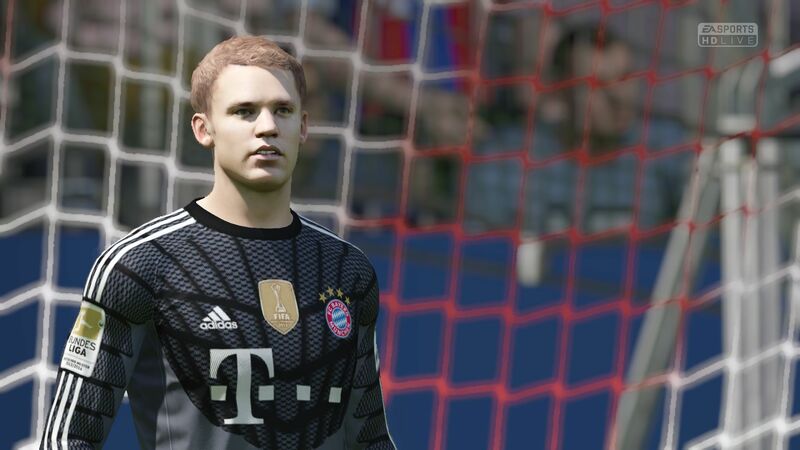 Compared to its predecessor, Fifa 15 has significantly higher demands on the hardware. Of course that shouldn't be a surprise, since the new version uses the powerful Ignite Engine (Playstation 4, Xbox One) and not the older Impact Engine (Playstation 3, Xbox 360), which was already behind the times last year. 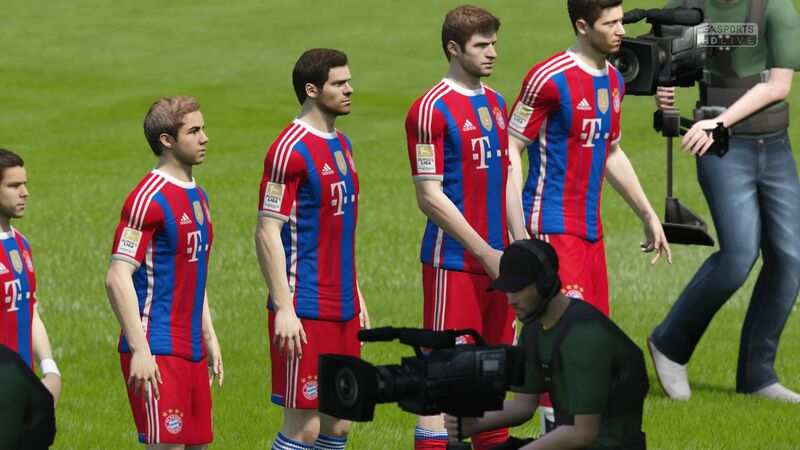 Fifa 15 finally has spectators in the stands worth taking a look at, as the characters are a lot more life-like than they used to be. 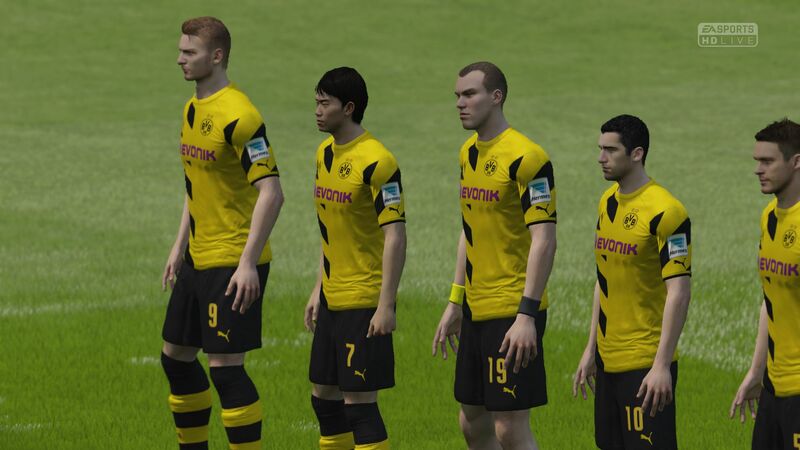 The players look better, too - not only as far as the sharpness of the textures is concerned, but also because of their realistic appearance: some of the virtual players now look strikingly similar to the human counterparts they are modeled after. 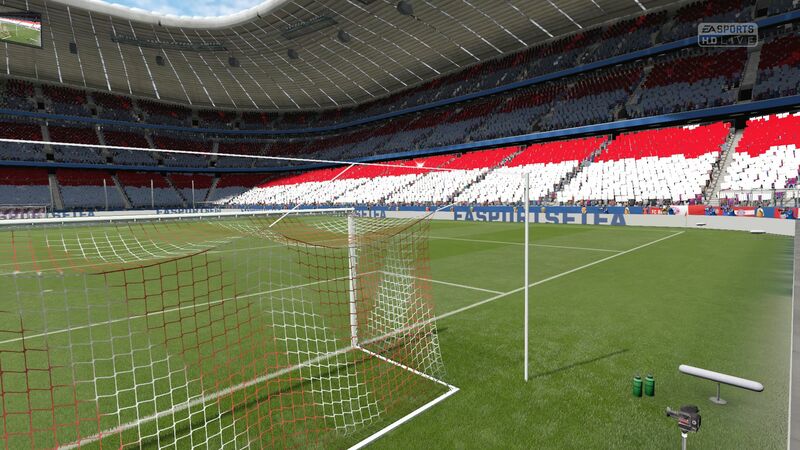 We also can't find many faults with the lighting, the grass, the number of polygons in use, and the general atmosphere. From a technical standpoint, the performance is quite decent, although there's still room for improvement. We especially liked the animations. 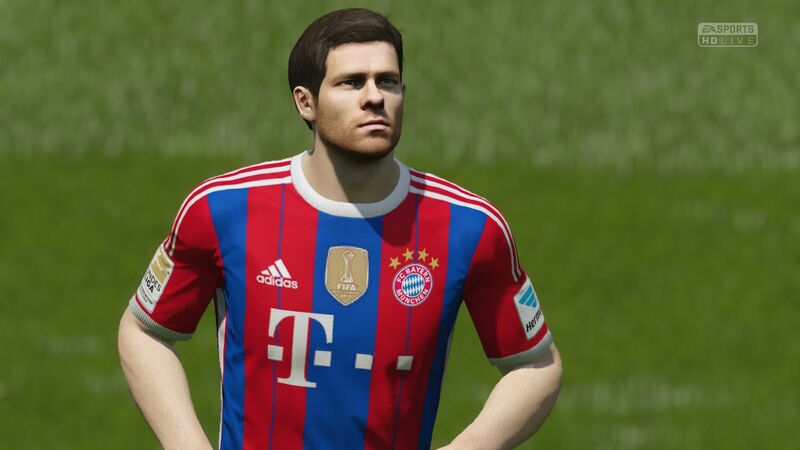 Although the main competitor PES offers a slightly more realistic gaming experience, Fifa 15 is definitely stepping up to the first division this time around. The commentators are also convincing and describe the game play on the field nicely. Unfortunately, the graphics menu only contains a handful of options. 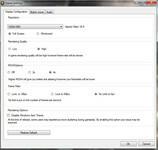 Aside from the resolution and the rendering quality (medium details are missing), the user can only adjust anti-aliasing. 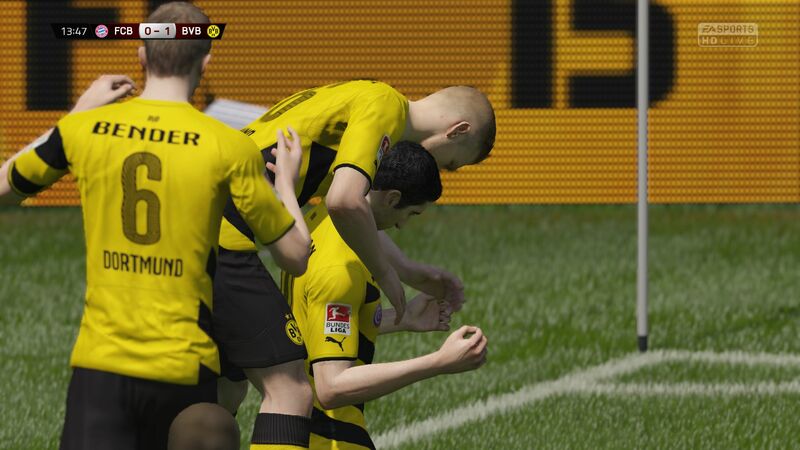 At least EA doesn't use FXAA, but the higher-quality MSAA for this purpose. 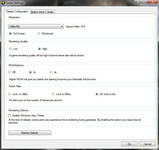 The framerate can be reduced as well, which might decrease the notebook noise level in some cases. 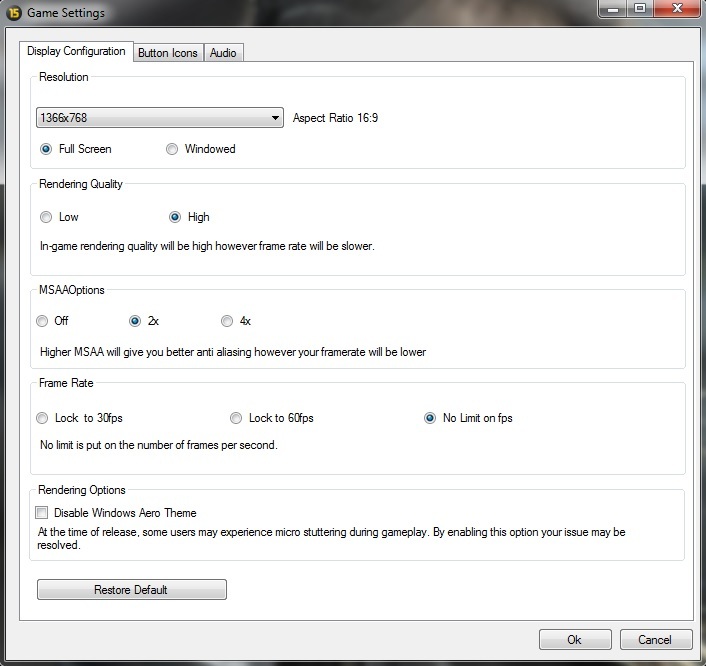 Should micro-stutters become an issue, Windows Aero can be turned off as well (see screenshots down below). 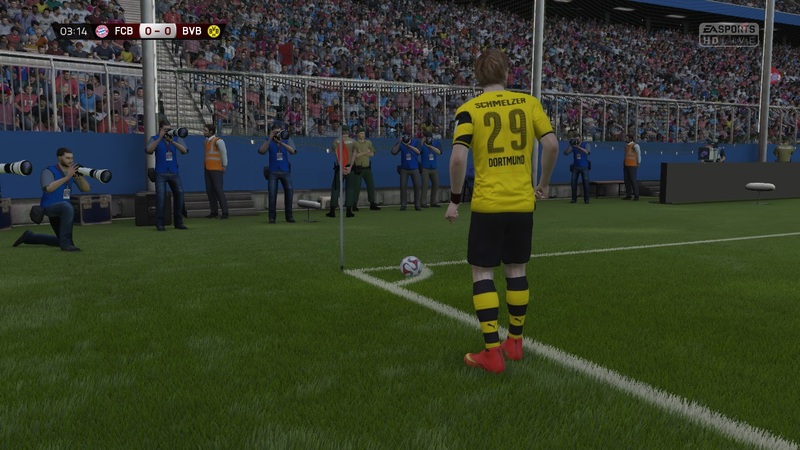 We didn't experience the ominous bug that has all players, including the goalkeepers, charge towards the ball (supposedly, this issue can be remedied by choosing a longer name for the PC). We did notice, however, that load times are significantly longer with Intel GPUs. 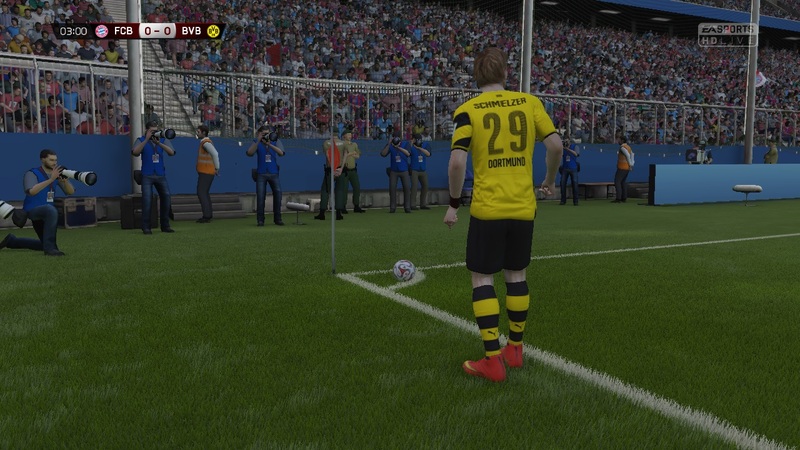 If Fifa 15 runs suspiciously slow, graphics switching can be the culprit. In this, case, changing the preset in the Nvida driver to "high-performance processor" (the default is "auto-select") solves the issue and the game then starts with the GeForce GPU every single time. 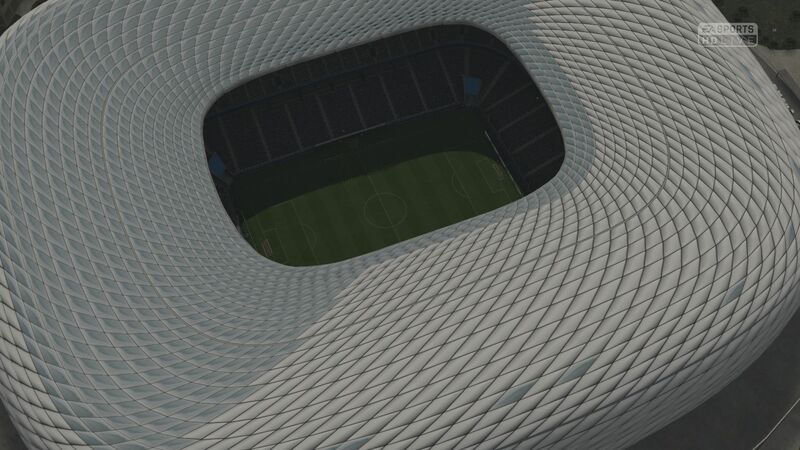 We use the same benchmark process we followed when evaluating the predecessor: we use a kick-off game between FC Bayerna and Borussia Dortmund in the Allianz Arena. To be as fair as possible, we use identical options (6 min half time length, semi-professional difficulty, Fall, 3 PM, fair weather...). 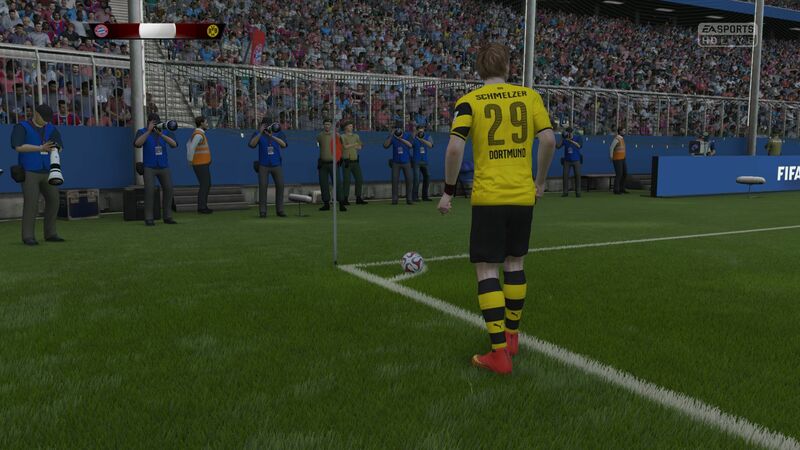 We start recording using the tool Fraps as soon as the referee blows the starting whistle. After exactly seven minutes of game time (that's not equivalent to "real" time), we stop the test. 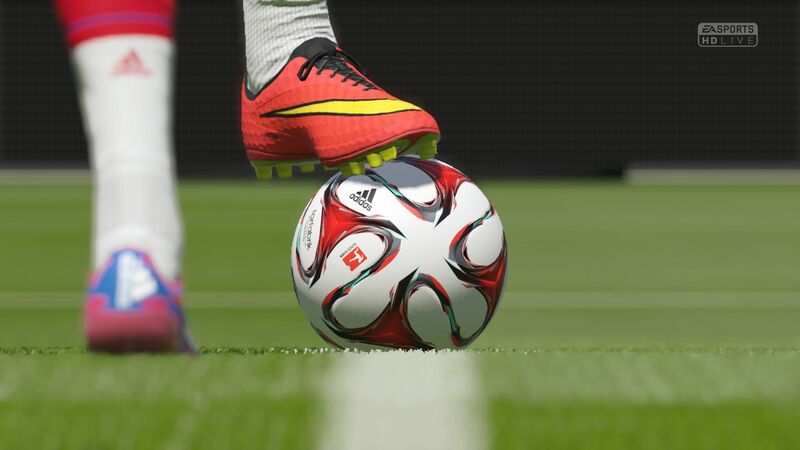 The performance can drop by half or even 2/3 during replays (Fifa 14 had the same issue), so it's best if the frame rate is at least 50 or even better 60 fps from the start. 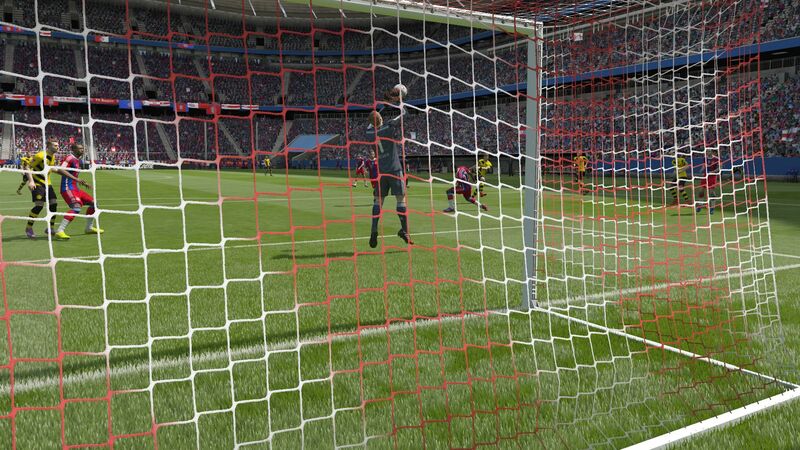 We try to avoid replay situations altogether or at least shorten them with a mouse click should they occur. Because of the mediocre replay performance, the minimum fps can fluctuate as well. This is why some weaker graphics cards can at times seemingly outperform their more powerful siblings. The average frame rates vary slightly from pass to pass as well, but at least they are more consistent (+/-10 %). 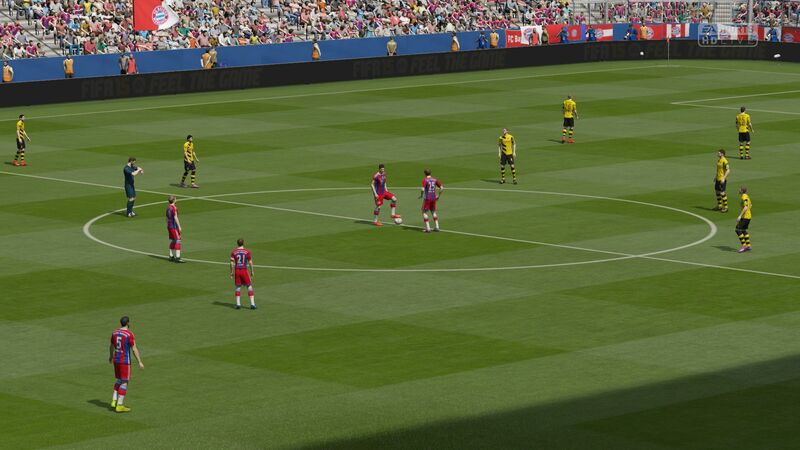 Unlike Fifa 14, which was very playable even with low-end GPUs at medium to high settings, Fifa 15 can push bargain notebooks to their limits. Case in point: the HD Graphics 4600 graphics card integrated into the current Intel processor generation. With a frame rate of about 52 fps at 1280 x 720 pixels and details on low, there is not much headroom for higher-end settings. 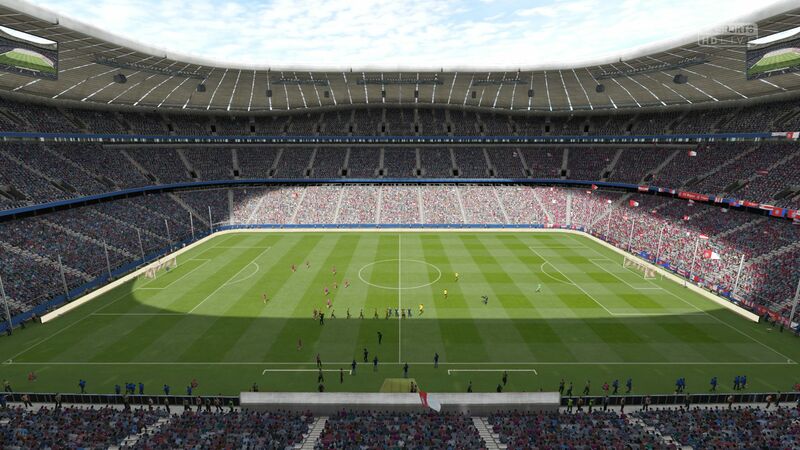 Those who'd like to run Fifa 15 with the details set to high, a resolution of 1366 x 768 pixels, and 2x anti-aliasing, will have to make sure that they have a dedicated GPU from AMD or Nvidia (~62 fps @ GeForce GT 740M) at their disposal. 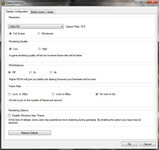 Middle-class graphics cards like the GeForce GT 750M can handle a resolution of 1920 x 1080 Pixel and 4x MSAA. 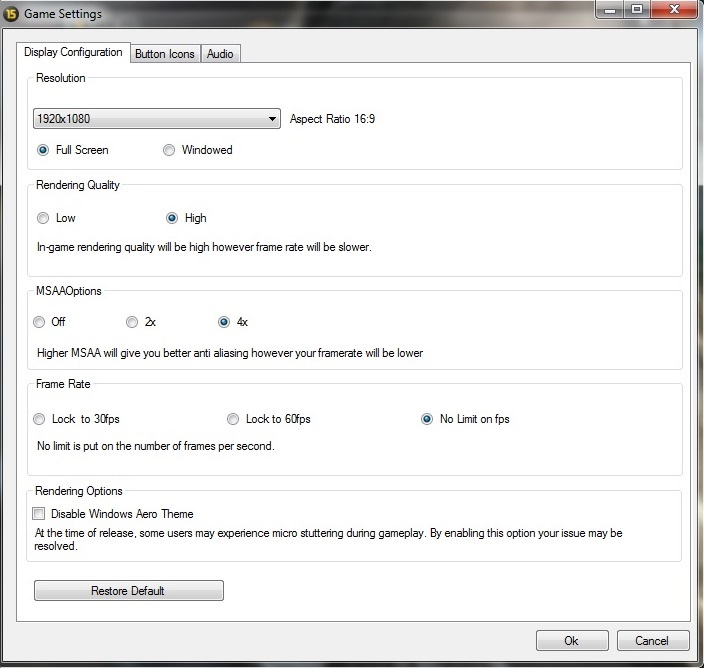 High-end GPUs are not going to be tasked much: a Geforce GTX 860M allowed us to play at frame rates of above 100 fps. 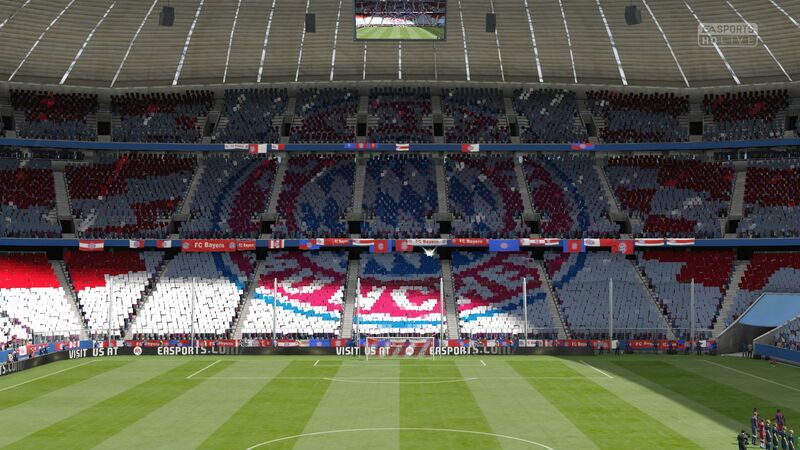 Hopefully EA will continue to improve the engine for the next version. All these notebooks feature 64-bit Windows 7. Thanks to Micron for supplying a 480 GB Crucial M500 SSD. We've also included benchmark results from other notebooks, which potentially could have different drivers installed.